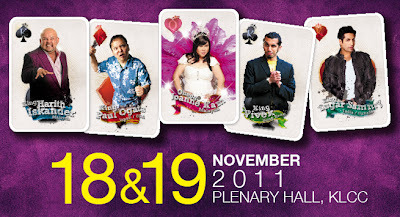 I laughed my heart out at the biggest comedy show in Asia, Kings and Queen of Comedy Asia 2 last Sat on 19th Nov at Plenary Hall, KLCC. 5 comedians – led by comedy superstar King Sugar Sammy from Canada, the funniest Japanese American you will have ever known, King Paul Ogata and Chinese-English speaking funny man King Vivek Mahbubani from Hong Kong. 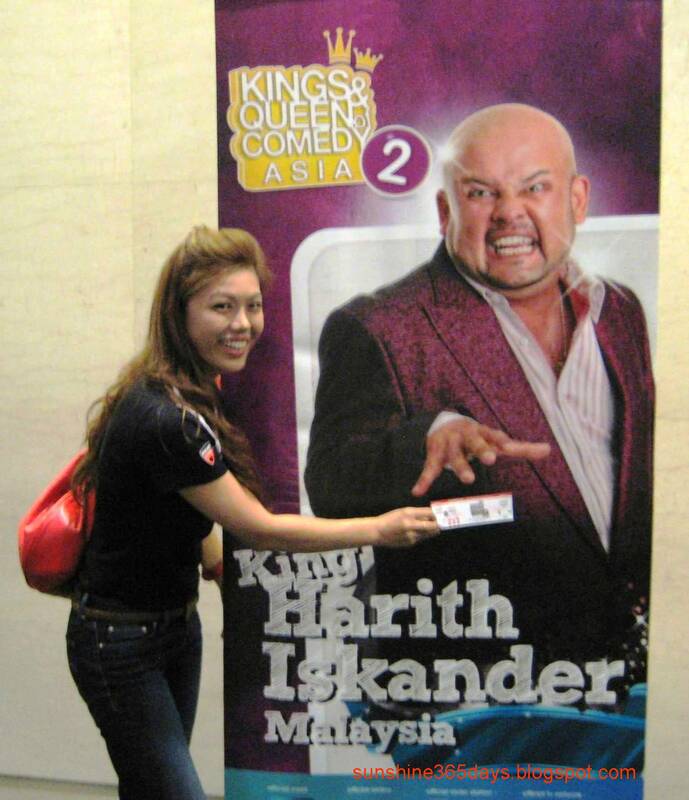 King Harith Iskander, our proudest comedy export who aims to go global in 2012 will be representing Malaysia and the hosted by none other than the divalicious Joanne Kam. Queen Joanne Kam was the host, love her Lady Gaga outfit – mirrors. Of all the 5, I laughed till my stomach burst and enjoyed the most at King Harith Iskander jokes about Ultraman and Bruno Mars Grenade song. Wahl lau! King Vivek could speak such a fluent cantonese, better than me. Lei Hou Keng Ah! 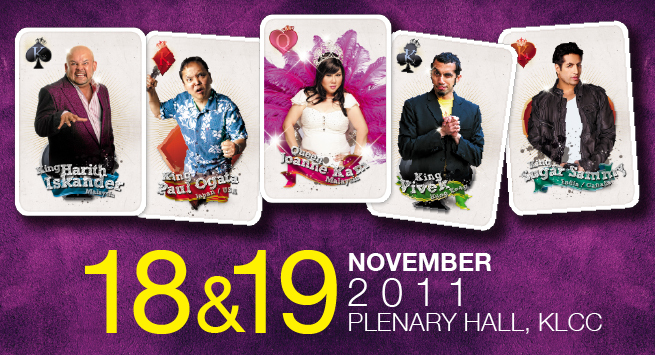 Thanks to Advertlets for the passes.